In last years I'm starting using Google Maps over and over. Very good coverage, navigation, real-time traffic, transit, excellent search for POIs with additional information ... if you didn't try it in last months, do it immediately. But there is one disadvantage in my eyes - lack of speed cameras. Usually, navigation applications have support for speed cameras, but Google Maps isn't one of them. Let make things clear - I'm not a fast or ruthless driver but there are moments where I drive faster then it is allowed. Sounds similar? My idea was to develop an application which will follow my location and compare it with a database of known speed cameras location. But before starting I opened a Google Play and search for something similar. And as you can guess - something similar already exists :-) and its name is TomTom Speed Cameras. I installed it and here are some observations after using it for almost a year. TomTom Speed Cameras is a simple application which follows phone locations and warns a driver when in front of him is something "interesting" (speed camera, traffic jam ...). TomTom is a well-known company known for very good navigations systems, road maps, traffic information and user's support. All this means that my expectations were high. TomTom Speed Cameras uses its own database of speed cameras which is moderate and verified by a TomTom team and controlled by an enthusiastic community. Users will appreciate that application isn't battery hungry. This usually shows that application is developed with users in mind and it is a good sign. You can check available speed cameras on maps view. You will probably see that some of the speed cameras (or police traps locations) aren't there. As I understand, TomTom is quite conservative and adds speed camera only when they are really sure that it is there. The good and quality information is something that I miss in today's world. So I can give a compliment to TomTom for that. But in this case, I'm not sure if this is what users want. Drivers want to be alerted when a police trap is in front of him. Maybe I'm wrong, but I didn't get even one proof for that type of alerts. In a typical world, there are two types of speed cameras: fixed (with all subtypes) and mobile (police traps). And it looks that only fixed types of speed cameras are covered. Again - maybe I'm wrong because in my part of the world there are too few application users. It is quite interesting that application covers average speed zone. Some countries use this a lot. In my example, a trip in Italy has a lot of speed zones. 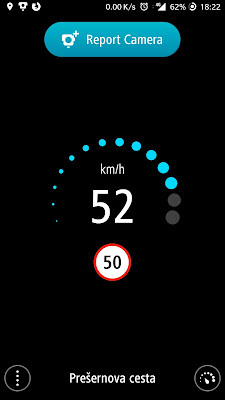 The application works fantastic - it alerts you and then shows your average speed. TomTom Speed Cameras uses TomTom Maps with coverage for many countries. 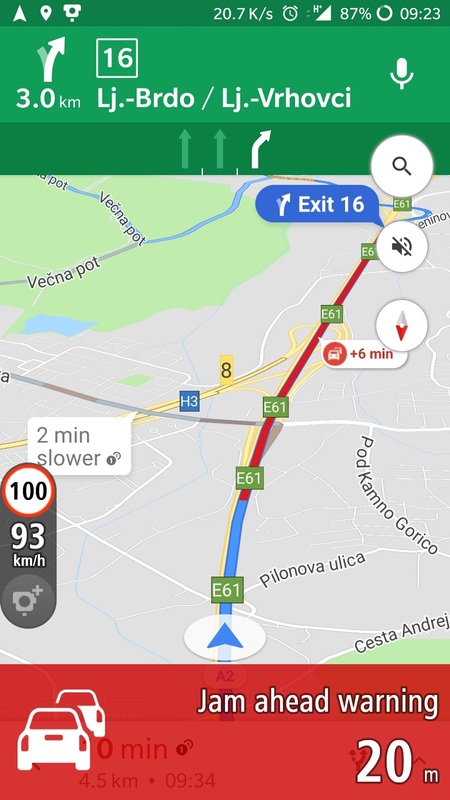 I'm sure that traffic information for some countries is covered better than for other, but TomTom has a lot of experiences with that. 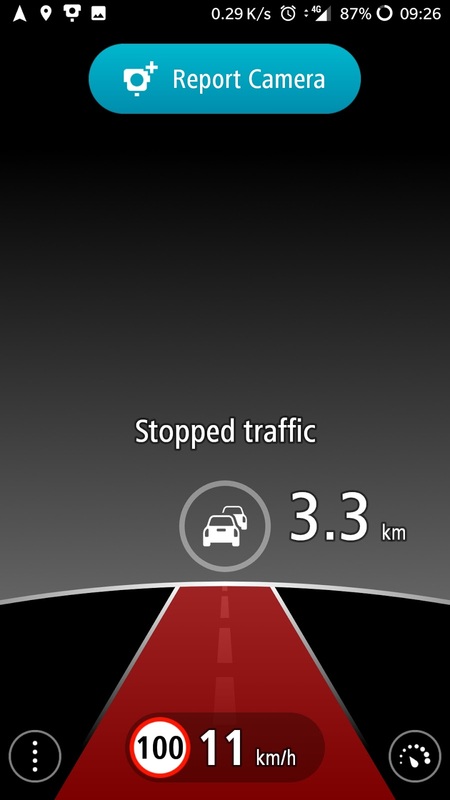 To be honest, in my opinion, Google Maps has the best traffic information, but TomTom is in the second place. When traffic jam is in front of you, the application will warn the driver. This information is a little late, but I understand that TomTom Speed Cameras isn't navigation software and don't know what is your next move. 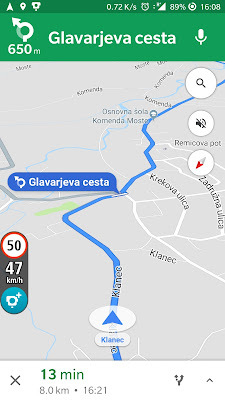 As I said before, for me the perfect combination is using Google Maps for navigation and TomTom Speed Cameras in overlay mode for speed cameras and additional alerts. As you can expect, a user can report a (new) speed camera location. I see a big problem here - user can report a speed camera with only one click, but it is all. Yes, it is simple, but the user can't say what type of speed camera is it. Maybe it is only mobile one? After pressing a "report" button, an application should show two buttons: fixed and mobile. If user won't respond within 10 seconds, then it should work as it works now. 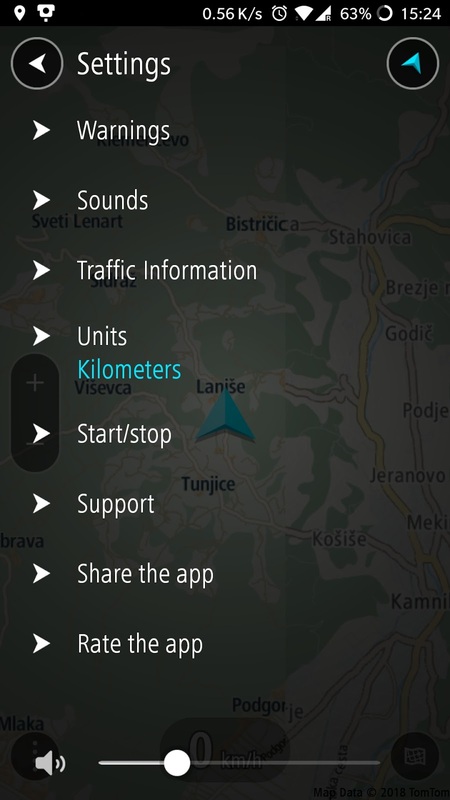 If the user responds, TomTom's database will get an important additional information. And don't expect that your report will be shown on the map soon. No, it goes throw the process and should take days/weeks. 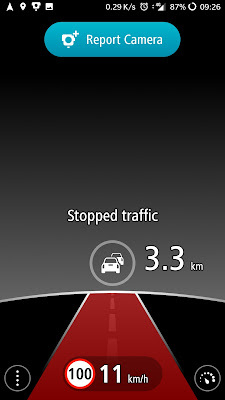 If TomTom will use my suggestion, they can show mobile speed cameras immediately. Users will understand that mobile speed cameras locations aren't so bulletproof. This type of camera can also have a default time of validity. There are situations where an application works strangely when I stop the car. Sometimes the application closes, even if I'm sure that my "Close app when idle" setting is set to off. Automatic startup is available, but it works only if your phone has Bluetooth on. Beside speed camera warnings, an application also has safety warnings (speeding, jam ahead). Speeding warnings are interesting, but drivers have to know that all road informations aren't correct. With this in mind, speeding warnings are useful and can calm down your driving. Maybe application should have a tolerance setting for speeding. It is annoying when you get a warning if you drive 101 km/h and road sign is 100 km/h. Tolerance setting should help. For years I use TomTom website for reporting changes and inaccuracies, but sometimes this is a lot of unpaid work for a TomTom company. Is it reasonable? You will decide. If I add reporting speed cameras to this, then TomTom should think of rewarding users. How? I don't know, but they can find something if they want. As I said an application is quite simple and there are only a few settings. I mentioned a missing speeding tolerance setting before and there can also be some other additional settings without ruining the simplicity of application. One more thing - TomTom invites users to "help us improve this app by answering a short survey". If you click on it, you will get an information that survey isn't available (for some months). Conclusion: TomTom Speed Camera is an interesting application. It works as you expect, it is free without ads and can be really helpful. 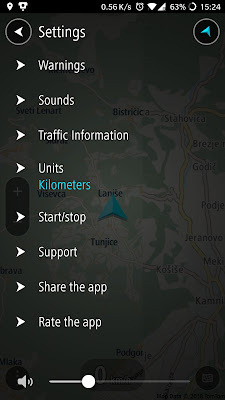 You can use it alone (even with screen off) or in combination with Google Maps (for example). Give it a try and/or comment it here.